These bats tend to live in noisy colonies which have a pungent, rubbery odour. They make loud squeaking noises, especially towards their emergence time shortly after sunset. They are able to climb on vertical rock surfaces, scuttling crab like across the rock using their wing claws and feet. Their flight is fast and direct, and they may fly considerable distances to feed on their insect prey. They forage for flying insects at greater heights above the ground than other bats. Enemies are human beings, birds of prey, snakes and other mammals. They avoid predators by hiding deep inside rock crevices and cracks. A single young is born at a time. The young are born blind and naked, and remain with the mother for three weeks until its wings are fully developed. 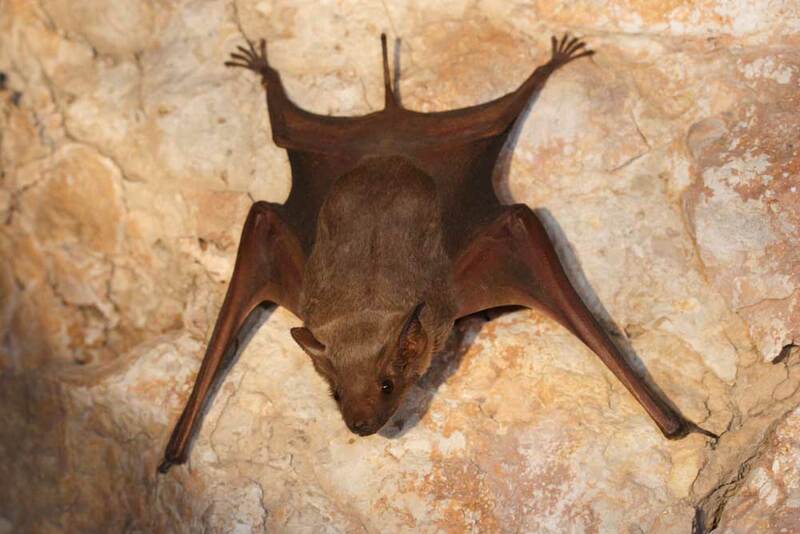 Naked-bellied Tomb Bats are one of the larger species of bats in Qatar. They are greyish brown above, paler below. The lower back, abdomen, chin, throat and cheeks are hairless. The short tail protrudes from the midpoint of the membrane. There is no nose leaf.